Mayo (NFL Division One v Donegal, 25/3/2018): David Clarke (Ballina Stephenites); Caolan Crowe (Garrymore), Ger Cafferkey (Ballina Stephenites), Eoin O’Donoghue; Colm Boyle (Davitts), Stephen Coen (Hollymount/Carramore), Paddy Durcan (Castlebar Mitchels); Seamus O’Shea (Breaffy), Tom Parsons (Charlestown); Kevin McLoughlin (Knockmore), Aidan O’Shea (Breaffy), Diarmuid O’Connor (Ballintubber); Jason Doherty (Burrishoole), Andy Moran (Ballaghaderreen), Adam Gallagher (Mayo Gaels). So, on paper at least, that makes it two changes from the team that started last Sunday. Out go injured duo Lee Keegan and Cillian O’Connor, while in come fit-again Paddy Durcan and Seamus O’Shea, both of whom appeared from the bench for us at MacHale Park the last day. Six of tomorrow’s starting fifteen also lined out for the county the last time we played Donegal, in Round 7 of last year’s League. 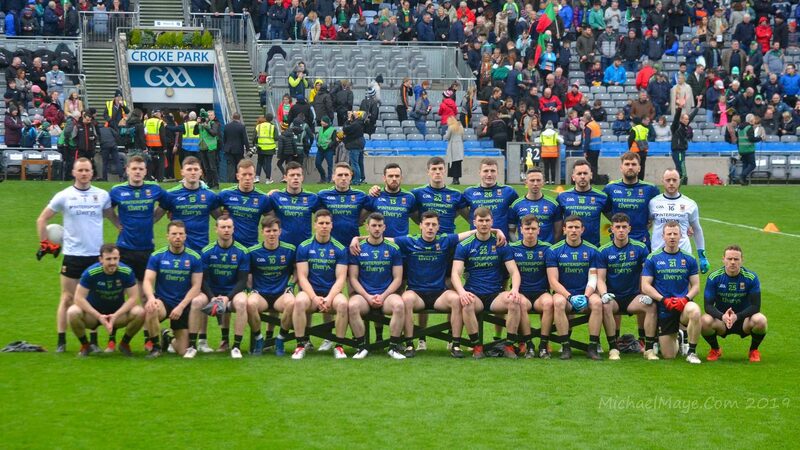 David Clarke, Colm Boyle, Paddy Durcan, Tom Parsons, Kevin McLoughlin and Andy Moran were all the team that beat Donegal by two points that afternoon, while Diarmuid O’Connor, Stephen Coen, Aidan O’Shea and Jason Doherty – who all start tomorrow – featured from the bench then. In another late switch, my plans have changed and I’ve now decided to travel to Ballybofey tomorrow myself. Sure feck it, it’s the last competitive outing ’till the middle of May and the more support there the better. Up Mayo. ← Fancy appearing on Sunday’s podcast? If this is the team for tomorrow, I think I won’t travel. Well Mayo88 that’s not a very positive post… give it your best shot lads. I fully expect a performance tomorrow and the right result for Mayo. Those question marks should not be there!! Loftus will likely start. David Clarke,Eoin O’Donoghue; Stephen Coen, Paddy Durcan; Seamus O’Shea, Tom Parsons; Kevin McLoughlin , Aidan O’Shea, Diarmuid O’Connor; Jason Doherty, Andy Moran will all likely start v Galway in May so a solid enough and experienced team for tomorrows relegation decider. I’m expecting Mayo to win by a few points. Winless Donegal are poor in defence and will be a bit toothless without their top scorer. Hard !to see a win, with no change in the full back line, variously described as a “shambles” against Tyrone ! Traveling up from Galway tomorrow and I am expecting a serious performance from the lads as last chance saloon for keeping Div 1 status. We can write off the Tyrone game as similar to game against the Dubs last year. Missing Leroy and Cillian will not help but expect another big performance from AOS. Durcan a serious addition and will be mad for road. McBrearty a big loss for Donegal. Mayo by 5! That’s a good solid team. Heard a rumour last nite, AOS was out with a back injury but just goes to show you cannot believe everything you hear. I’d agree with WJ a change or two before throw in will happen. As regards the match I just cannot see us not performing and malfunctioning like last Sunday. Mayo to win. I’d be happy enough with that team. The players are good enough to win if the preperation and attitude is right. I could see a couple of switches before throw in but wouldn’t even guess at what they might be. We’ll know very soon where we stand. 3 and 6 are not solid lets hope Barrett and Nally start before throw in along with Douglas! We have most of our first choice forwards and midfielders playing so you’d like to see us put the pressure on them in their half-way of the field and see how their keeper handles that. If we get our free taking sorted out okay, then we should be able to get a result to keep us in Division 1. Best of luck to all involved! May the force be with the Mayo Team as we head for the Hills! Any chance of a chant or a verse Revellino to get us on our way!! Higgins brought on for Ballyhaunis tonight. Not sure what we can make of that. Would love to see himself and Barrett, but also a risk as they’ve played so little ball. Expecting some fire and brimestone from the lads tomorrow. Going into battle without a proven freetaker would be scary – therefore I hope & presume the announced team is not the starting one..
We’ll carry Leeroy in our hearts. Best of luck to Mayo tomorrow. Strong team but also expect 1 change before throw in .Don’t need chants or verse . Just as many as possible to make the journey and get behind the lads .Safe journey to all . Ah Jez Revellino you will have us bawling now! C’mon mayo.any word what thisvref is like for tomorrow.hope he gets the right call right and shown the rite card. I agree Mayo Exile Neil Douglas has to start he showed us up in Clones what he can do from placed balls.Loftus isn’t as good from distance j and Doherty isn’t reliable as he showed against Dubs.Would start Hennelly also it could come down to frees. Think it’s very likely this team will start, will need SOS around the middle. Doc will on the frees with McLoughlin. Huge game, have to get the win. C’mon MAYO ?? Was thinking the same thing about Gallagher. He was our free taker (and a very good one from memory) last time he was on the senior panel, a few years back now. Can remember him hitting 6 or 7 against Tyrone. Maybe those with more knowledge of the club scene could shed some light on his free-taking abilities. 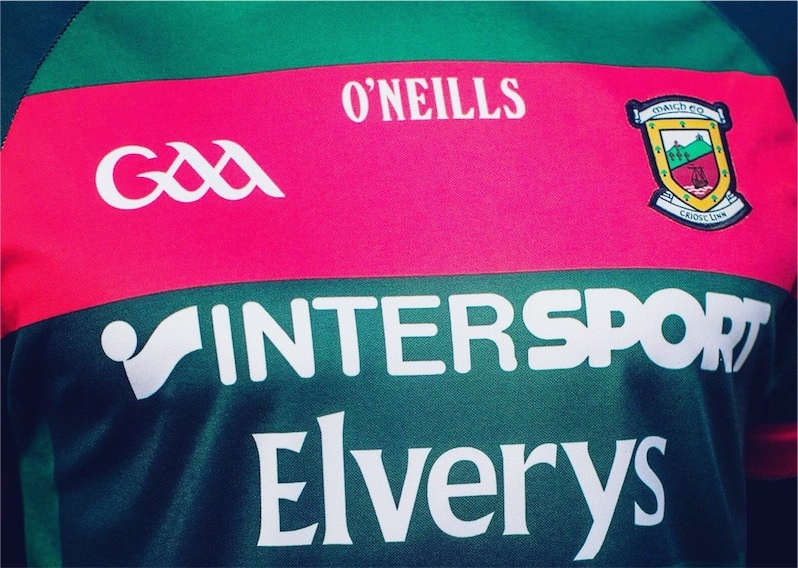 Best of luck to Mayo tomorrow and I genuinely mean that as Division 1 is where you need to be. We’d have our own Croagh Patrick in the hills of Donegal…….. The 16th man is crucial tomorrow, let him/her sing out loud and proud! Adam Gallagher is a very competent free taker. Has been the main man for NUIG the past couple of seasons. Sorry but Douglas is not the future of Mayo senior football IMO – lets hope Rochford sticks with Gallagher and Loftus. So what if they make a few mistakes – both have great potential and will learn and improve with every game they play. get the mayo chant going as much as we can.we need to stay in diversion 1.gud for team to play against top teams includes our serfs.get a result Tom answer gear up for Kevin Walsh’s charges in May then. Think this is a make or break game for this team tomorrow. If we win and stay up, it will get us back on track. Lose and I think its hard to see a way back from the damage that will do to morale in the camp. Hon Mayo! Can every Mayo man and woman out there make the trip to the hills tomorrow. A couple of changes to the team again shortly before throw in i’d say. Which should completely throw the Bonners, the Dohertys, the Mchughs and the Campbells etc. Very clever tactics from Rochford as he continues to outfox his opposite number week after week. Great to read that big Bertha will be there on the terraces tomorrow with Mayonaze. Fair play to you, fella. We can’t lose now. Ah yeah, fairly comprehensive winning margin for Mayo. Never in doubt. We’re not playing a pile and they are still dining out on a flash in the pan victory of 2012. Agree with 45 above. I hope Gallagher O Donaghue and Coen have big games tomorrow. That the best boost we can get going into championship. Would like to see Hennelly start for long range frees and Loftus for close in ones.Other than that its about the best selection we could hope for. Heard tonight that McBrearty [Deleted]. Hope i am not breaking rules here. 1 change I reckon. Loftus for Gallagher. I think you are, to be honest, RosTown. It’s been widely reported for weeks that McBrearty is injured so what’s the point in spreading a rumour like that? There’s a strong rumour swirling round up here, by the way, about a certain Dublin player and why he isn’t featuring for them but what would be the point of my posting something on it here? Nothing, same as your pointless comment on McBrearty just there. Glad to read you are going John, safe travels and have a great time! Fear not my fellow Mayo fans, you know as well as I, when are back is against the wall we do it right!!! Up Mayo!!!! Regards to Evan, Lee and Cillian for some privacy and a speedy recovery!!! Not that long ago people wanted Cillian taken off the frees and a combination of Jason Doherty , Adam Gallagher and Kevin Mc on them . Now he is out we have no capable free taker despite those 3 players being named to start. I’m heading for the hills after first Mass in the morning and I’ll be saying a prayer we do the business safe travel to all and glad you can make the game Willie Joe where else would you want to be at 3 than to be roaring on the Green and Red. I’ll have no voice at work Monday but sure they are well used to that now. Marc o Se thinks we are finished anyway, has written us off as contenders for the year. Delighted to read that, it’s more coverage like that I want to see! A few weeks ago I was on the drop Cillian side of the fence. A great servant, not as potent a forward as 2013 but gives more nowadays in workrate. None of the contenders have shown enough yet to displace him bit I hope one of them does because competition is good. Also Cillian’s discipline was been called into question here. Hopefully that time in the cooler will help him reassess that front. Of the 3 or 4 (Loftus, Douglas, Gallagher and Kirby) I think Gallagher may have the best combination of attributes including workrate to rob a jersey, just a guess. I’d like to see someone of them grab the opportunity. This is our most important game in years. Today is the day to wait 10 minutes after the final whistle and to applaud this Mayo team. Hoping we win but regardless of the outcome. If we win or draw then they deserve a warm reception for getting a result and making it another year in Division 1 after what has been a tough campaign. Even more so if we don’t win. A thank you to this great great team for 21 years playing division 1 football. Today is definately the day to stay a few minutes after the final whistle and show our appreciation. Will donegal throw Michael Murphy in on top of Ger Cafferky? If I was them, I would. I’d say they’ll try him in there dreamy for certainly periods of the game. Great genearls win wars with small armies. Hopefully we’ll be hailing Rochford at 4.30. Brian Reape , Brian Reape , Brian Reape. Last 2 years top club scorer in Mayo at Full Forward , strong & powerful on the ball , both feet , fantastic free taker & he knows where the goals are .Mayo need to give a chance to positive classy players like Brian or they will be in division 2 . Hope Mayo do it today . Seánie McMahon UL early to mid 90’s? Or different one? !